A practical and powerful 'how to' book for everyone wanting to achieve personal healing, transformation and success on their own terms. Do you want to find your way forward when life has changed? Take charge of your own healing and transformation? Longing for something new - but not sure where to start and what to do? 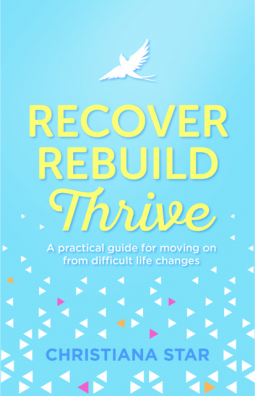 Recover, Rebuild, Thrive is a practical and powerful ‘how-to’ book for personal transformation, empowerment and success in the aftermath of trauma, pain and change. It offers clear direction and reassurance that it is possible to use adversity as trigger for personal growth, reassessment of priorities, increased emotional maturity and thriving in life. Picking up the pieces or beginning from scratch is like a puzzle of many fragments coming together: troubling symptoms need to be addressed, an authentic sense of self restored, intense emotions managed, self-sabotaging thoughts challenged and much more. Using real life stories and many easy-to-use effective strategies, Recover, Rebuild, Thrive provides inspiration, hope, clarity, insights and information. Move from being a victim to not only surviving but ultimately thriving in a new life as a new You!